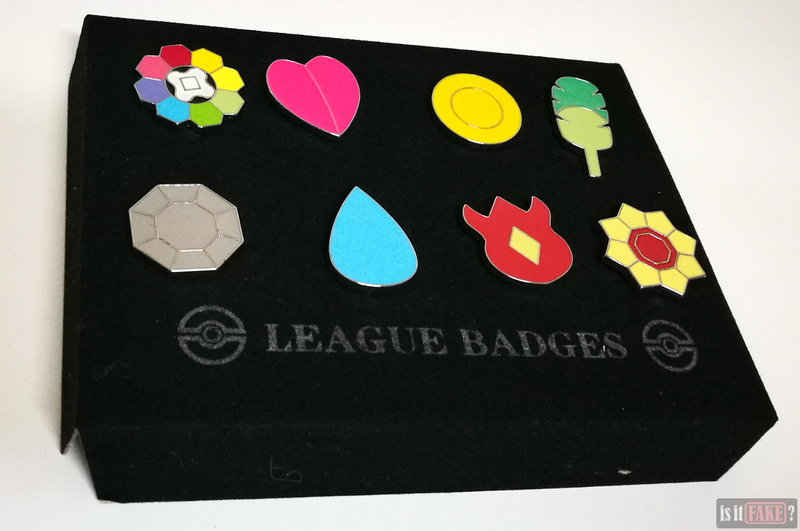 In the world of Pokémon, owning a Badge is a mark of honor, because it means you’ve bested the top-ranking member of a Pokémon Gym: the Gym Leader. 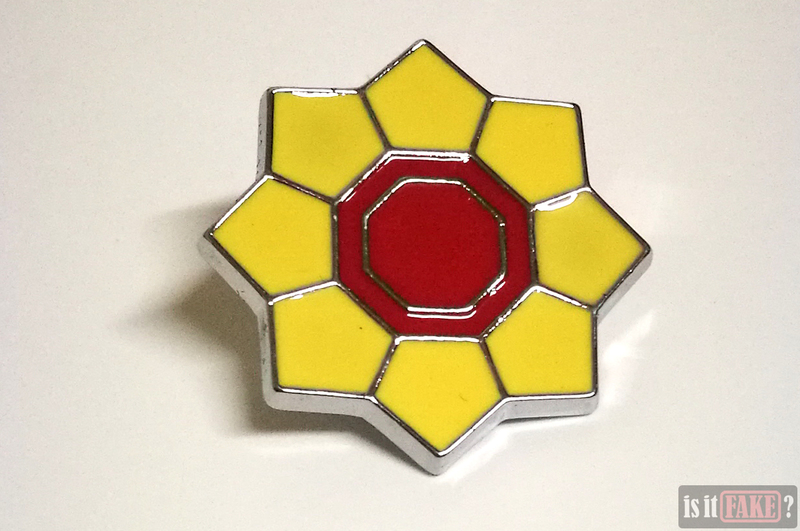 Earning an entire region’s set of badges, and you even qualify for the Pokémon League, the group responsible for organizing Pokémon competitions. 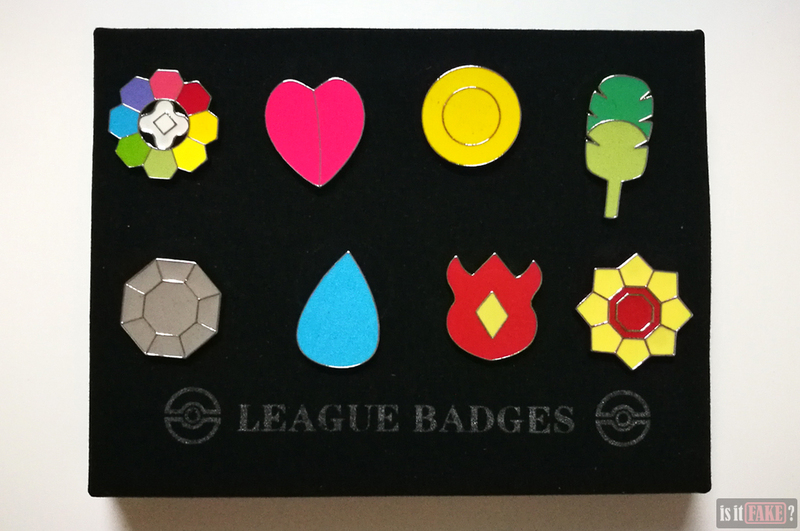 It therefore stands to reasons that many Pokémon fans would want to have their own badges. Bootleggers are aware of this, as they are aware of most of our wants and needs. Sadly, not only are pirates too cheap to pay for a valid license, they also have neither the skill nor the desire to create anything worthy of marvel. 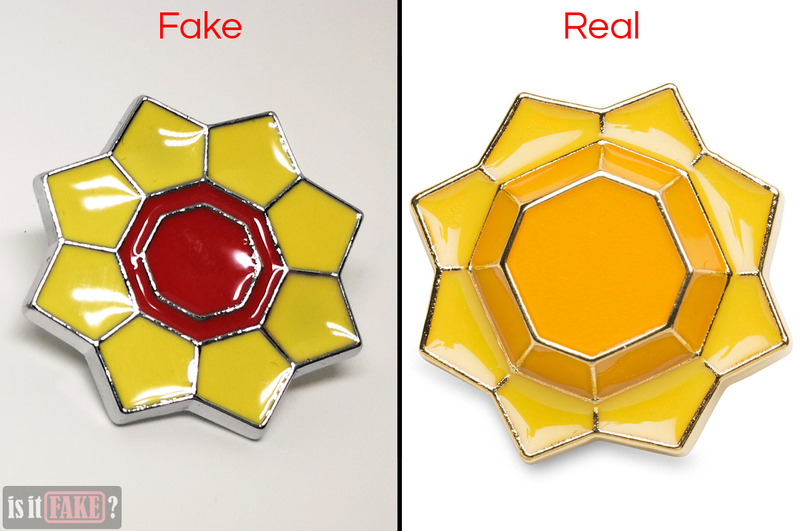 Unless you’re new to shopping via the internet, you’ll know Chinese online marketplaces are crawling with sellers eager to peddle cheap, low-quality fakes to unsuspecting victims. 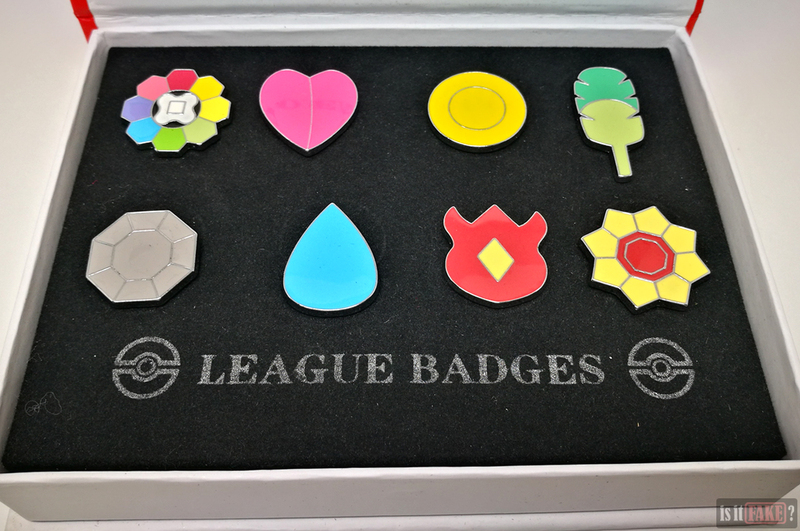 We got the this set of fake Pokémon League badges from such a seller. 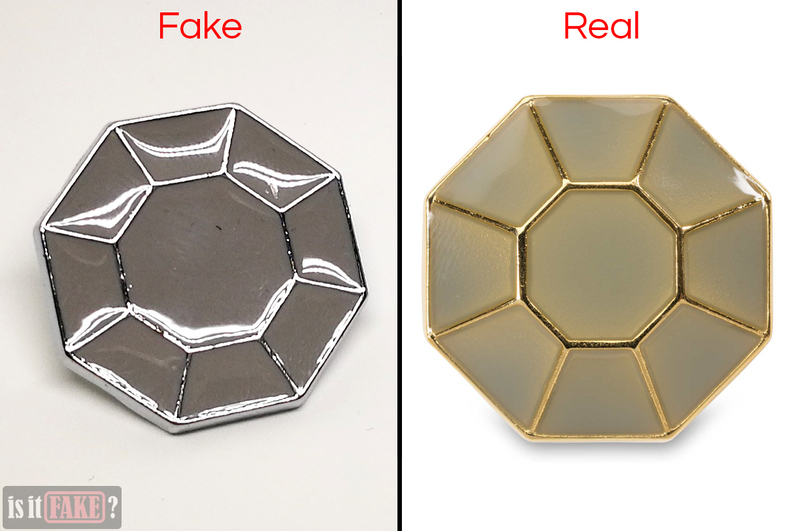 The product is of devoid of any details about its manufacturer, distributor, and licensing – a huge red flag, as officially licensed products always come in packaging replete with such information. Its page on the online marketplace, however, lists Sunki Technology Limited as its vendor. This company has its own website, where it claims to be the manufacturer of consumer electronics and video game-related products. 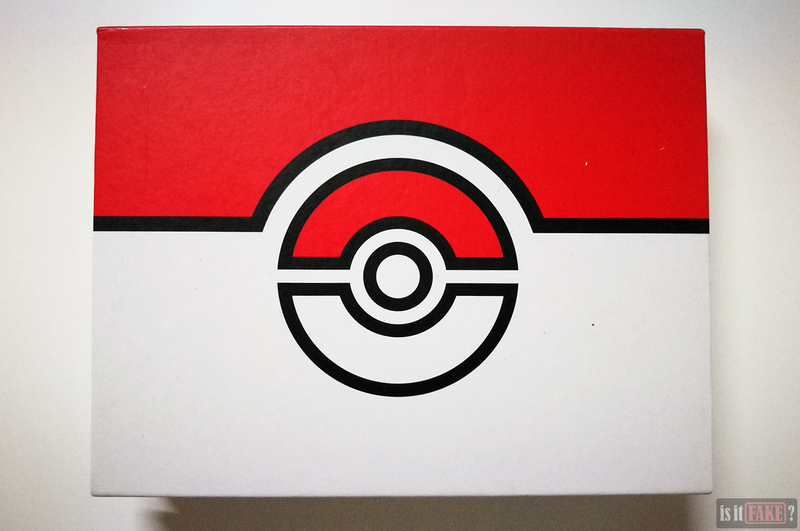 It’s strange, however, that there is no evidence on said website that Sunki Technology Limited is a licensed manufacturer and distributor of Nintendo items such as Pokémon accessories. Again, this should set the alarm bells ringing in your head. Any company legally affiliated with Nintendo would have all the pertinent trademarks and licensing information on its website, and maybe also provide a link to Nintendo’s own site. 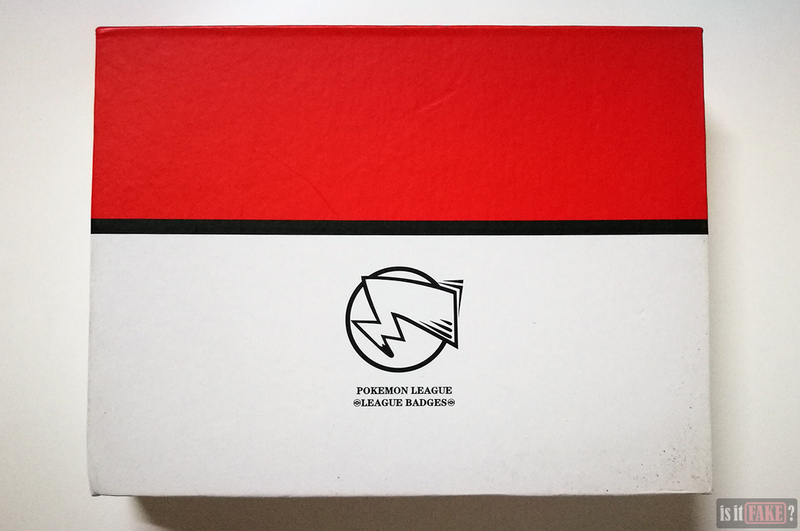 The fake Pokémon League badges are contained in a box made of thick cardboard. This box isn’t as clean as it looks at first glance; numerous scratch marks – some of them thin, others thick – adorn its surface, while tiny black blotches pepper the lower right corner of the bottom. 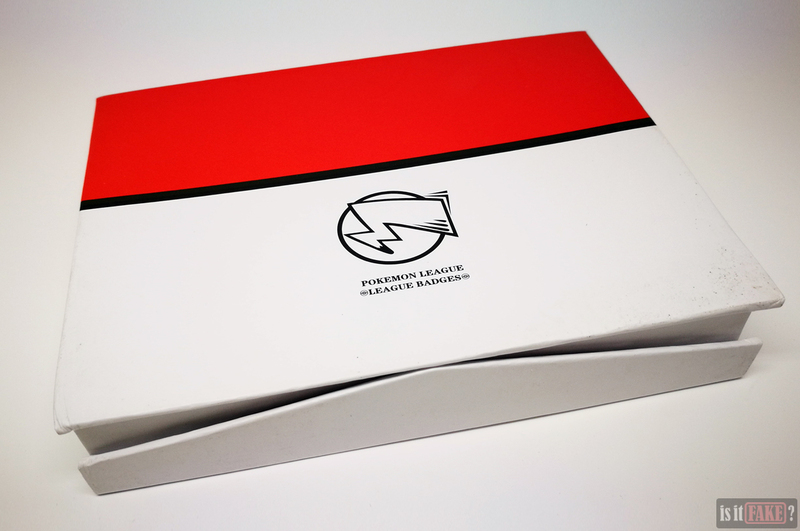 The upper lid of the box is held closed thanks to a small magnet on one side of the box. 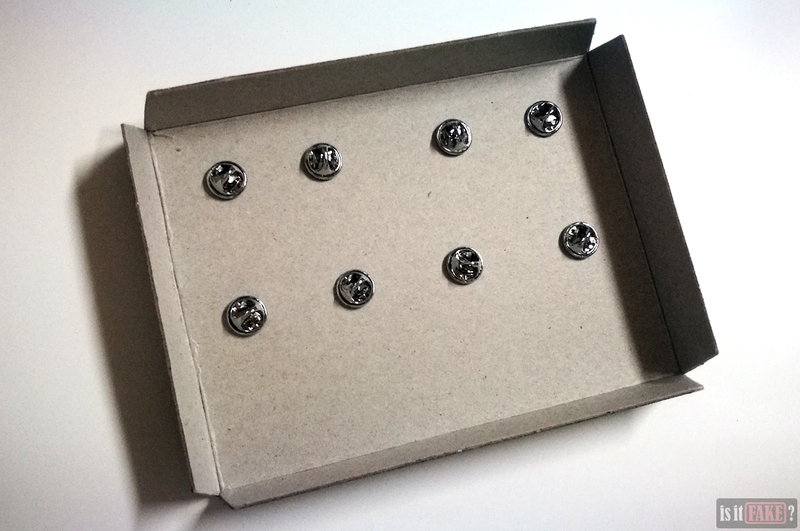 Lifting the lid exposes a black insert, to which the eight badges are attached. 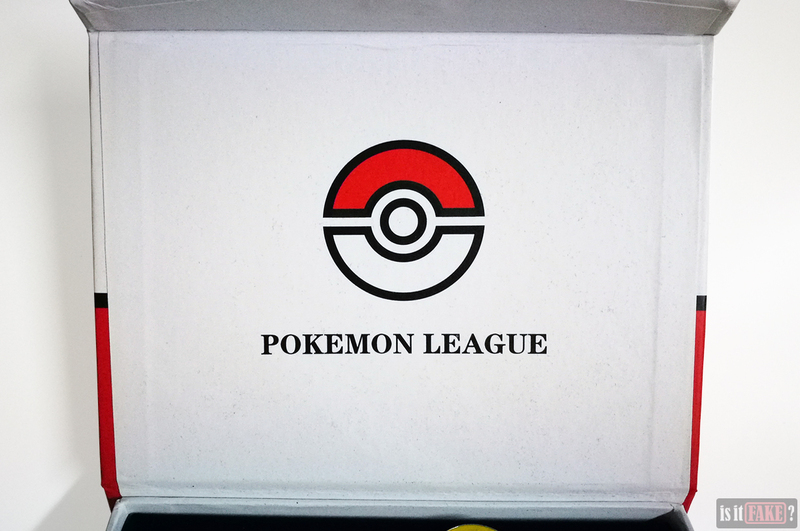 On the interior of the lid, you’ll observe another instance of the word “Pokemon” being spelled without the accent. The insert is thin cardboard with black felt glued to its surface. The fibers of the felt can be rubbed off with enough effort; in fact, some of it will likely end up on the white cardboard on the lid’s interior, dirtying it up. 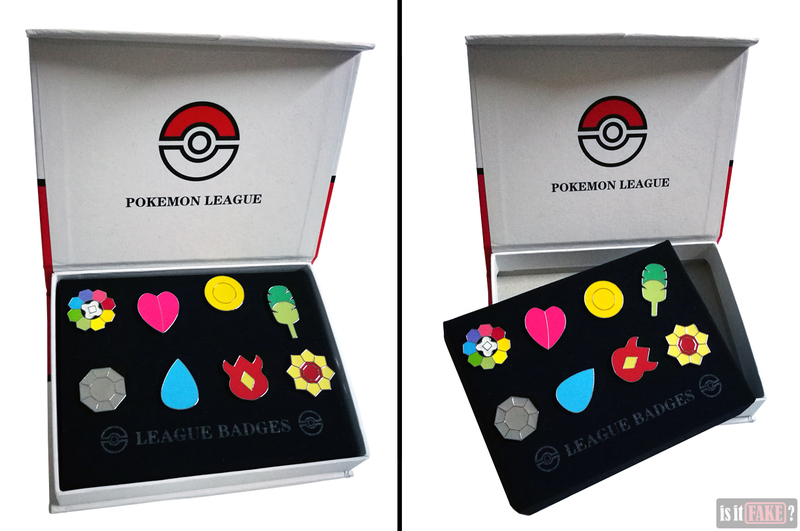 The silver of the words “League Badges” and the two symbols on either side of them are already worn out. 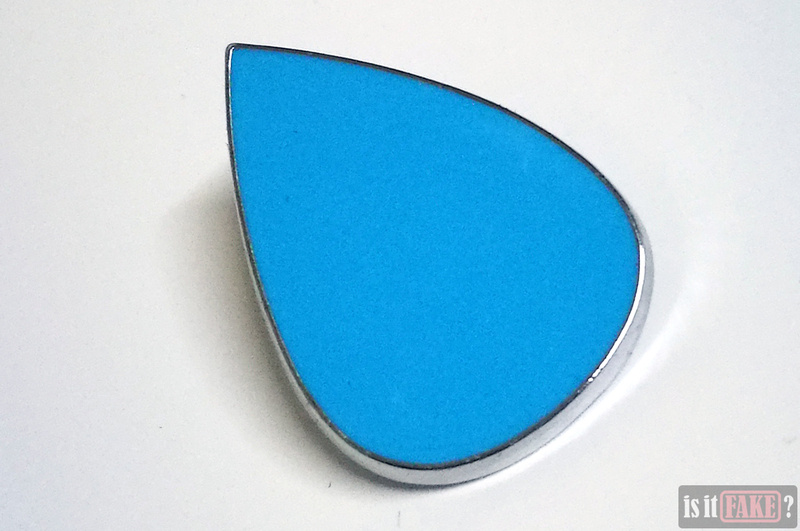 The badges aren’t equidistant from each other; the spacing between some neighbors are narrower than others. 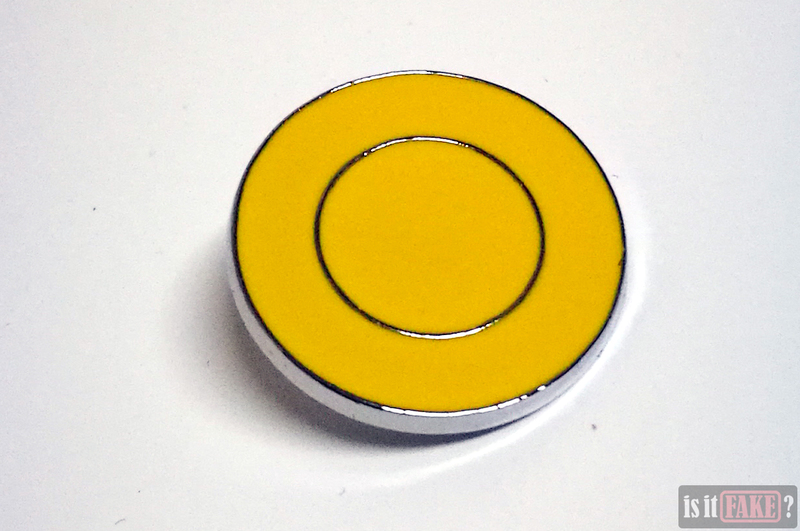 Each badge is affixed to the insert with the help of a pin. Now let’s scrutinize the pins themselves. 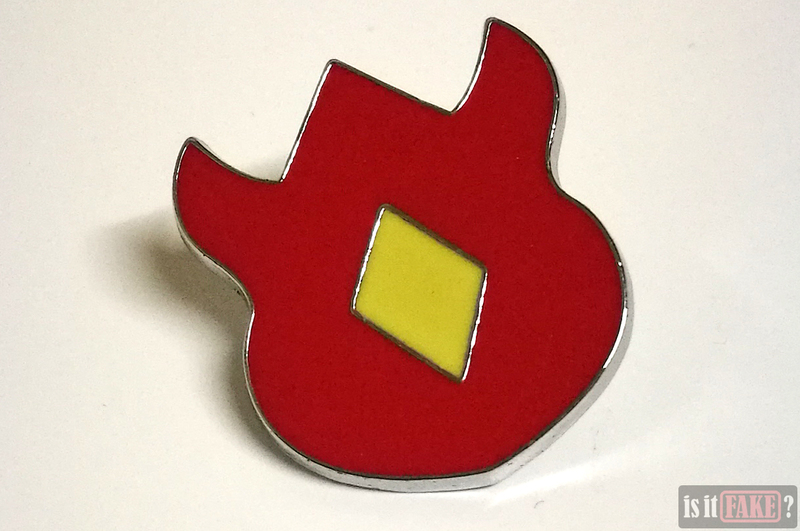 The badges are surprisingly thin and light. Zero artistry was employed in the painting of these items. Most of them are only one hue of one color. Those with two colors are just as plain. 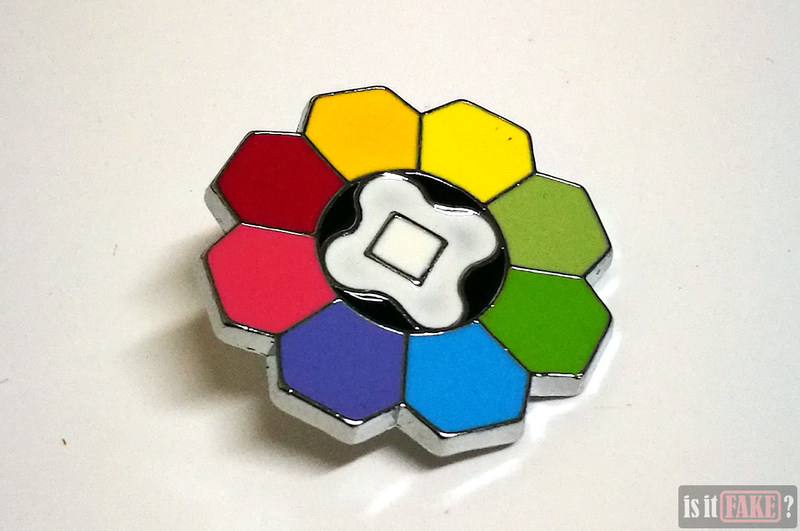 Even the Rainbow Badge with its nine different colors looks dull, because those colors are flat. There are sad attempts to create detail by leaving the metallic lines uncolored. 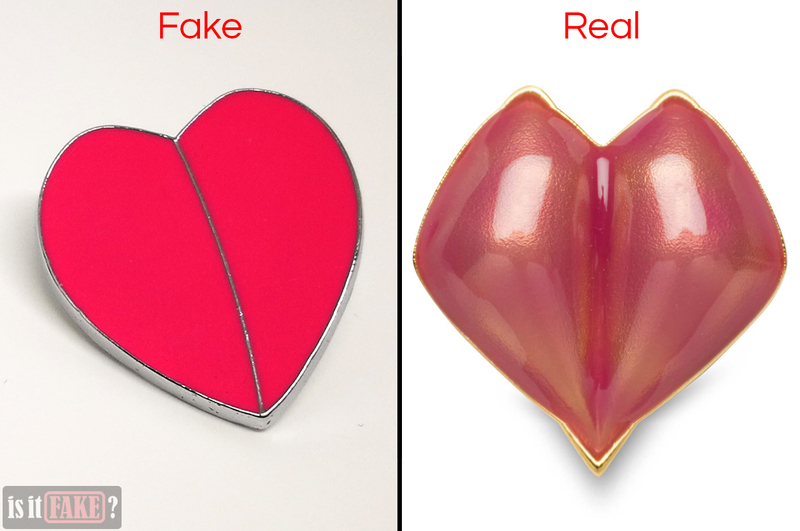 The worst offender is the heart-shaped Soul Badge, where you see a curved line running down the center to create the illusion of volume. 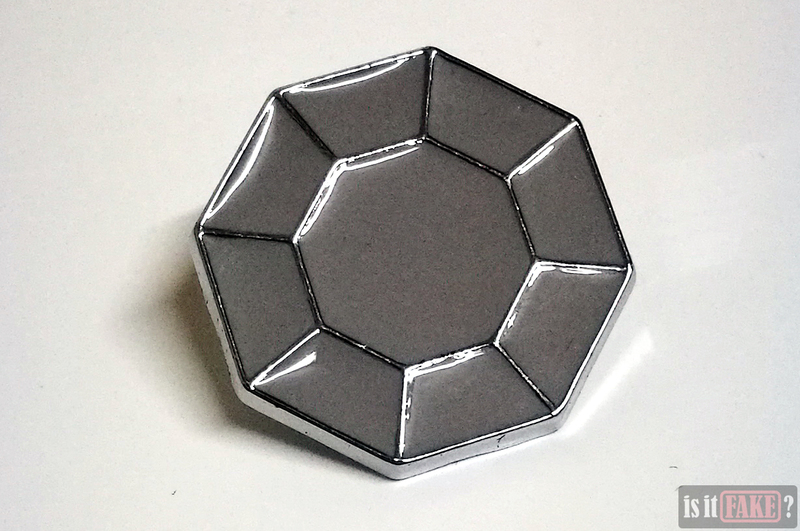 Needless to say, the illusion fails; this badge is as flat as the rest. 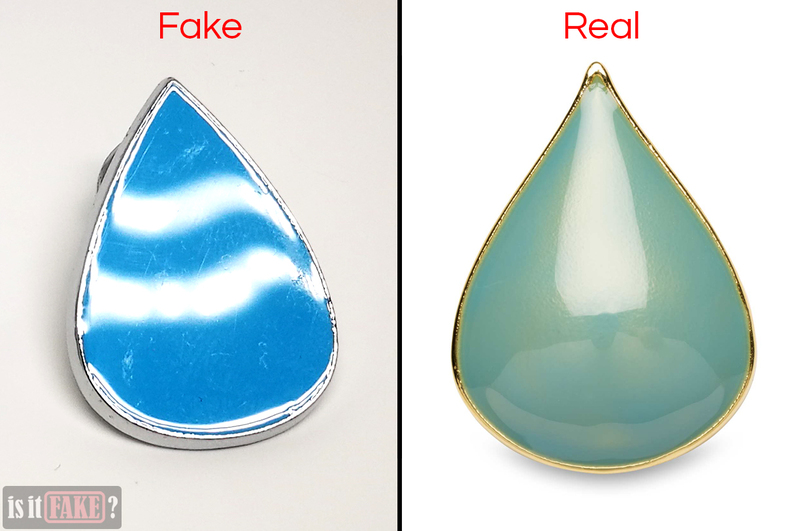 It seems the creators of these fake items were only going for the barest minimum of artistic appeal. 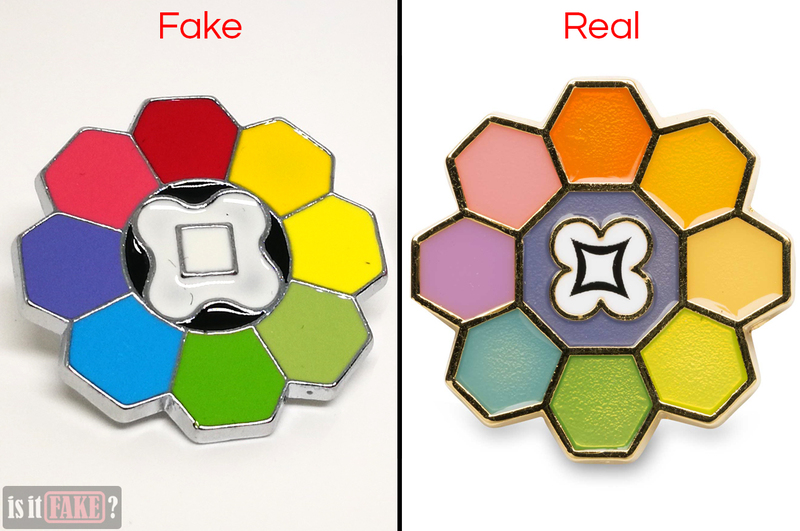 They were content producing badges remotely resembling what they’re supposed to represent, instead of pulling out all the stops and crafting masterpieces worthy of exhibition. 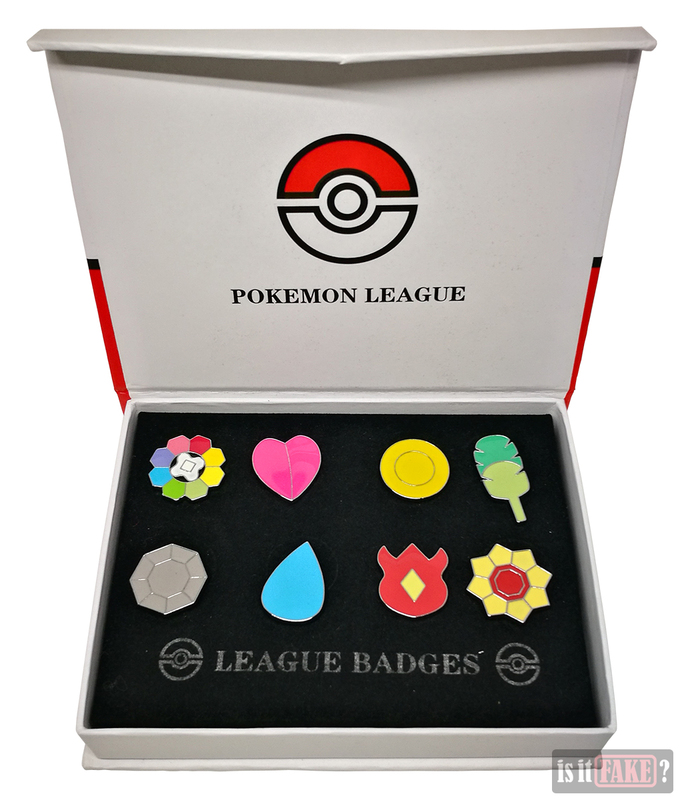 If you want to see how these Pokémon badges are supposed to look like, check out the official products below. 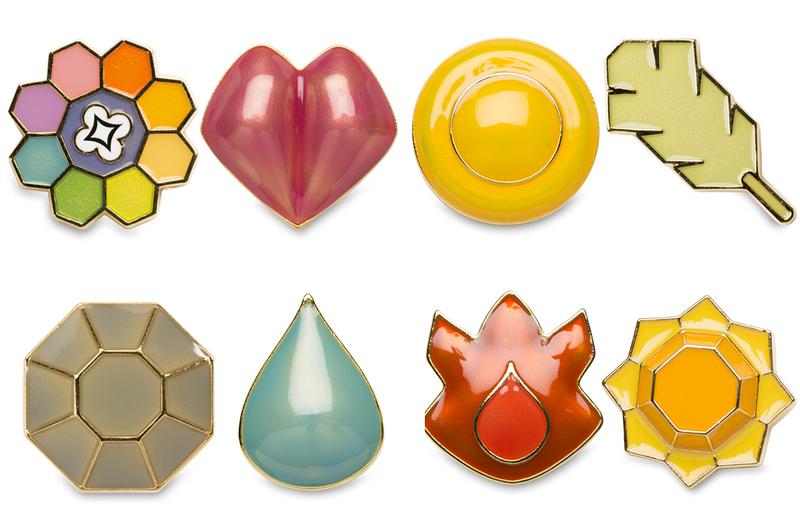 These beautiful Pokémon badges are from the official Gym Badges of Kanto Set. These premium collector’s items are heavy, and made of a combination of materials such as urethane, zinc alloy, and hard enamel. 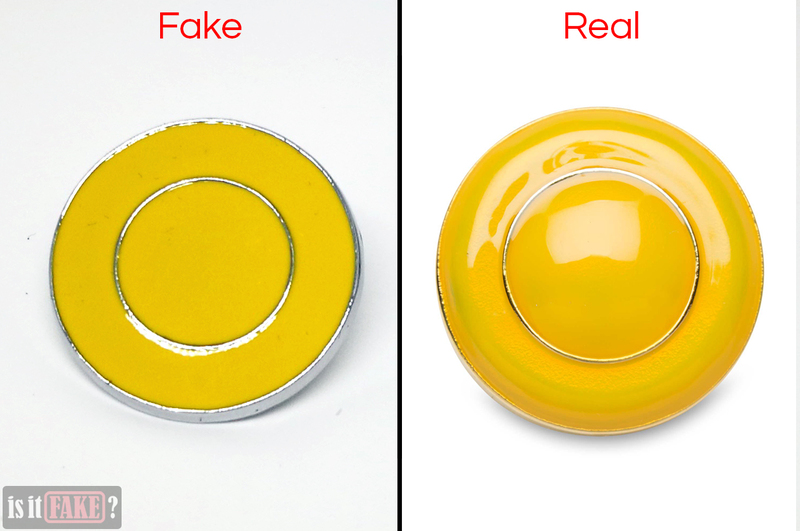 All it takes is a quick look to know these badges come with a gorgeous 3D effect. None are boring, flat pieces of metal; all have a satisfying thickness to them and feature elegantly sculpted parts. The paint applications are wonderful and clean. 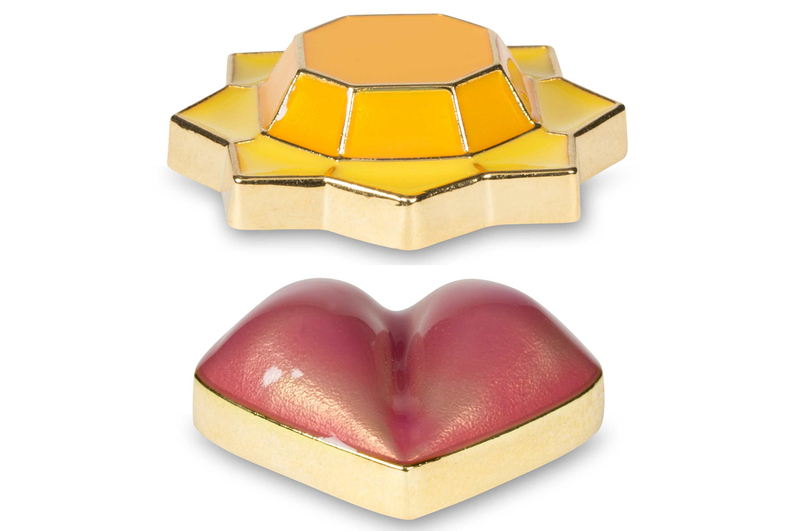 Most pieces even boast a glossy, lustrous coat that grant them an almost gem-like appearance. 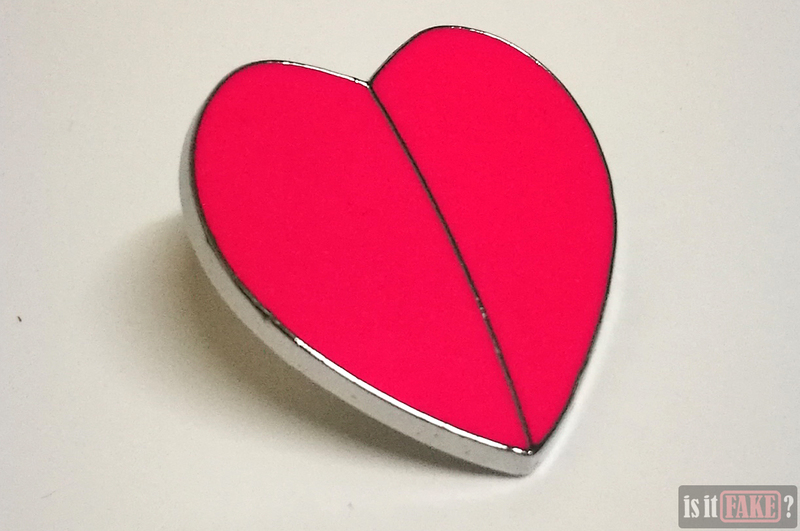 As a whole, you can feel a lot of care was put into the crafting of these badges, enough to tell you that the artists made great efforts to uphold their artistic integrity. 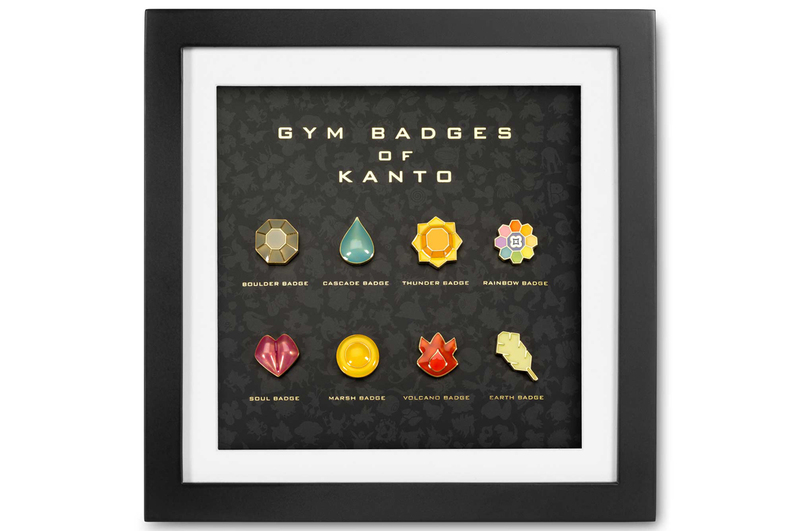 In addition, the official badges come attached to a slick wooden frame that can be placed in a display case or even mounted on the wall. 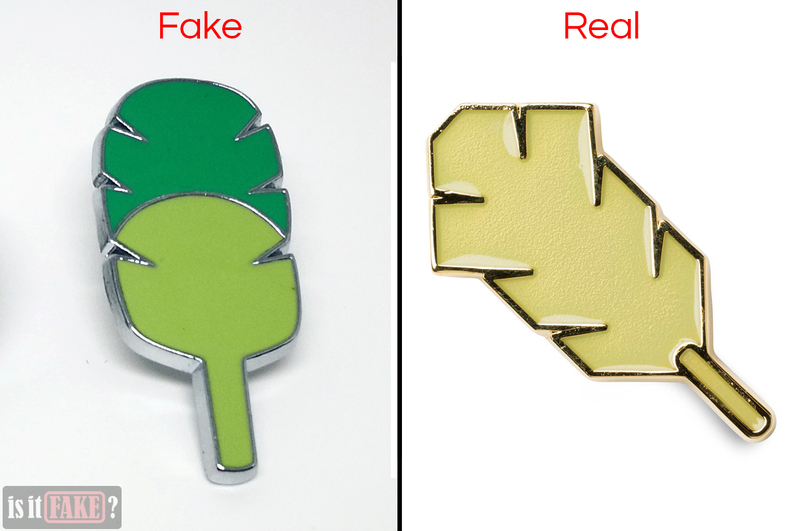 If you feel more like displaying these badges in public, you can remove them from said frame and fasten them to your clothing. 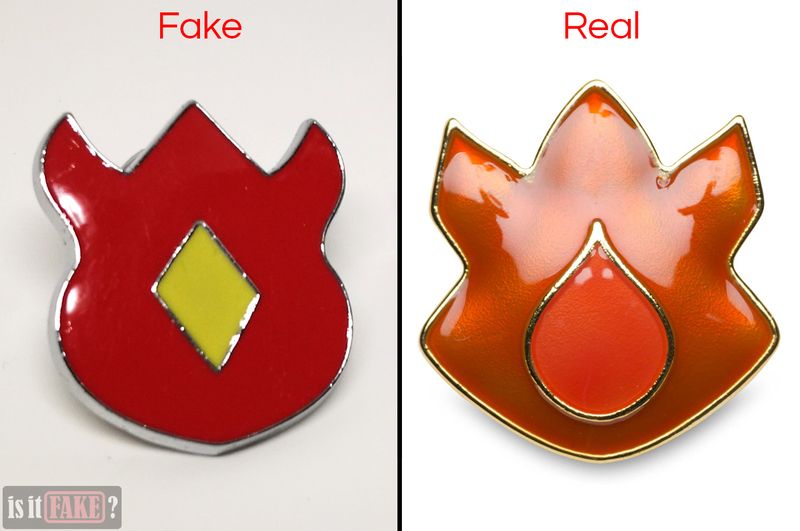 See the comparisons between the fake and official badges below. The official Pokémon Gym Badges of Kanto Set is expensive for good reason. 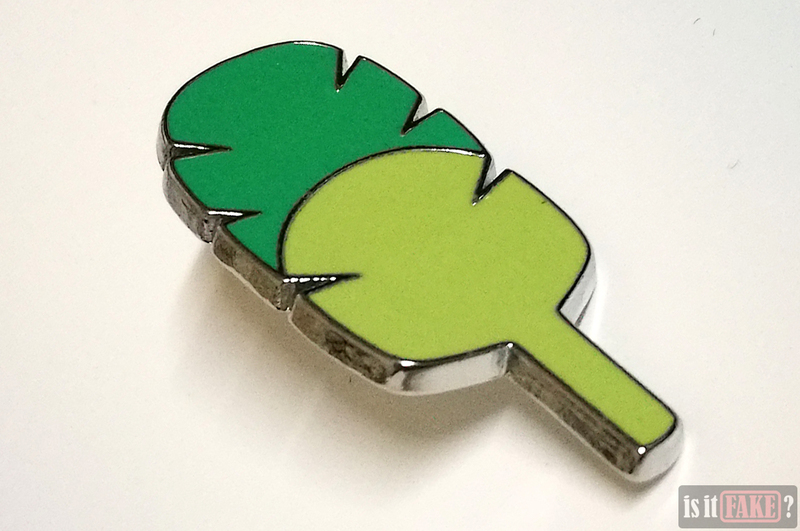 As discussed previously, these badges are beautifully crafted works of art, so much so that they’re better displayed on a desk or a wall than hidden in a box. They’re more luxury items than disposable knickknacks, and for that they’re worth every cent you’ll relinquish to have them in your possession. 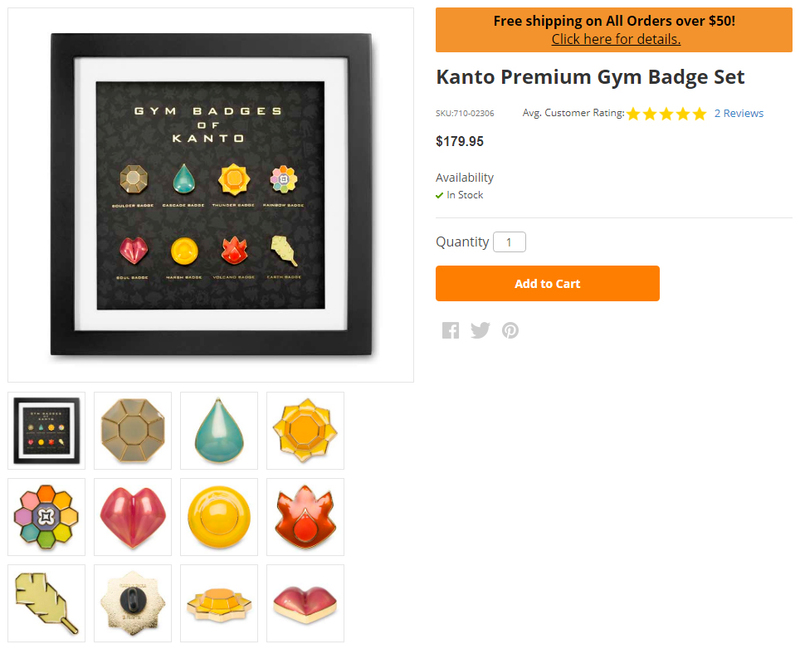 Visit the official store for Pokémon products, Pokémon Center, to purchase the the Gym Badges of Kanto Set. 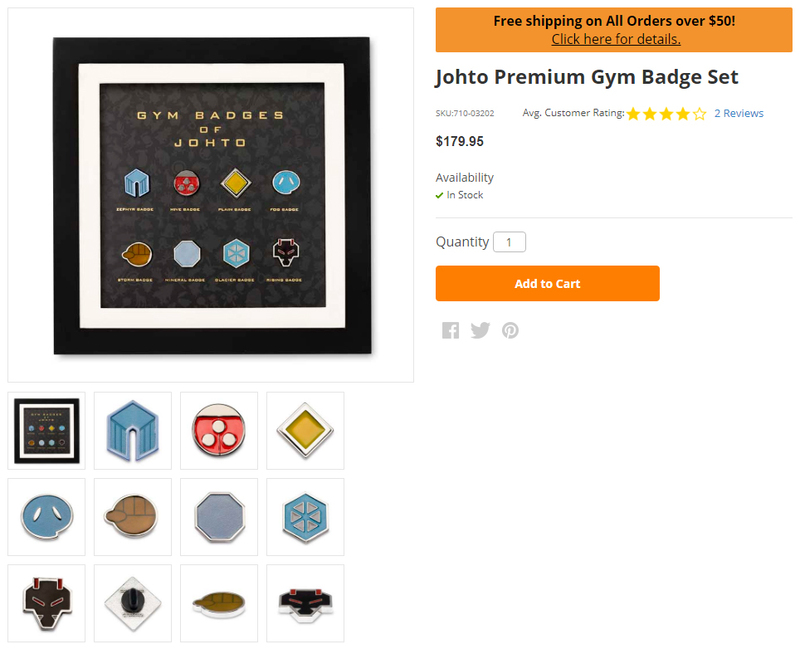 You can also buy the Johto Premium Gym Badge Set from the same store. 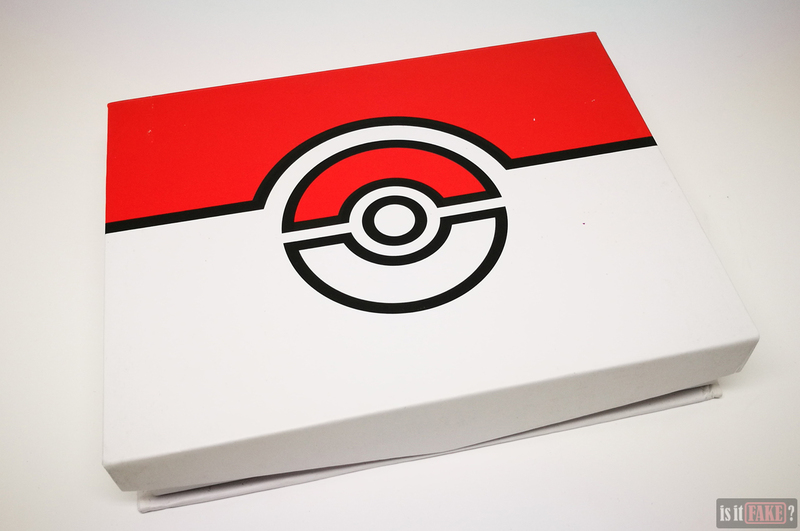 You can find other wonderful goods at the Pokémon Center, such as figures, trading cards, and pins. 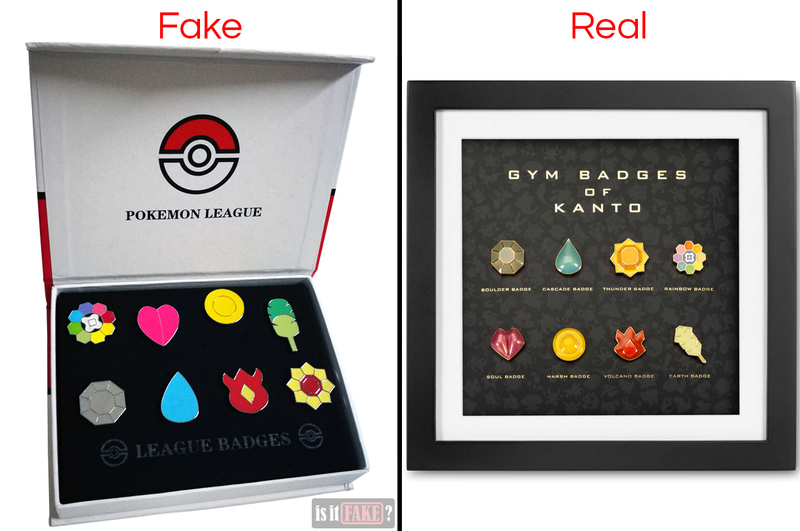 There’s no getting around it; these fake Pokémon League badges are dull and boring. The entire set gets a 65% terrible rating from us.